The healthcare industry is becoming increasingly complex, and the skills and expertise required from today’s healthcare providers are changing more than ever. 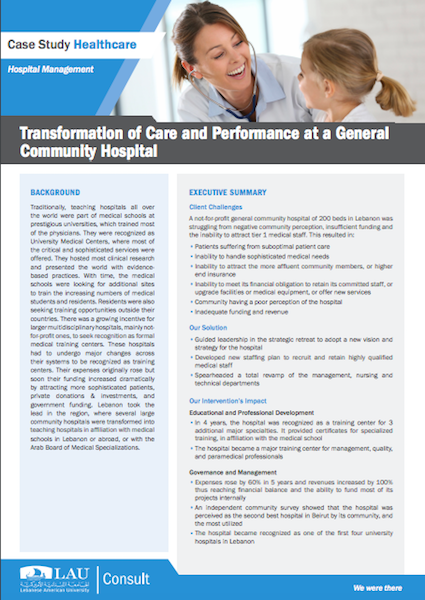 The care providers of the future will need to be experienced in conducting patient care, utilizing evidence-based practices, advanced technology and communication skills, as well as effective leadership. 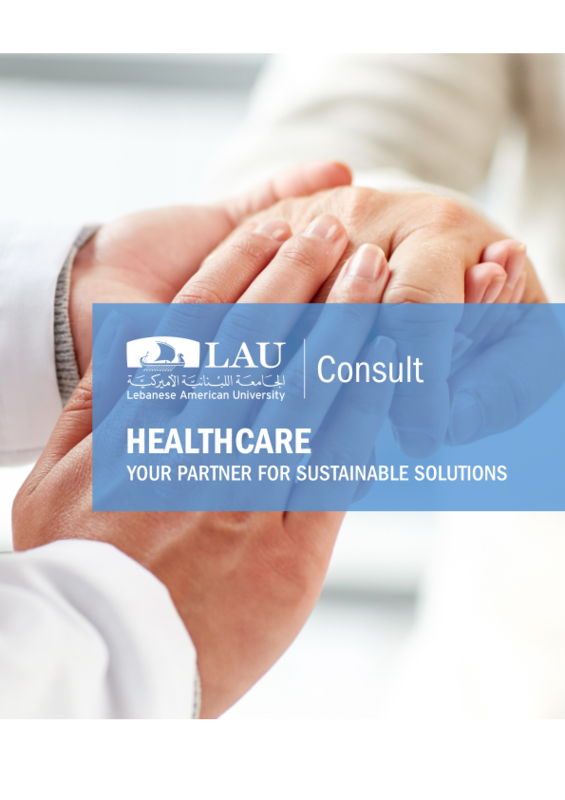 LAU Consult provides hospitals and academic medical centers with expertise and support in their drive to improve quality, achieve international accreditations, and increase the satisfaction of patients, doctors, nurses, and staff. Our experts are culturally sensitive to your environment and well-versed in the Arabic language and customs.